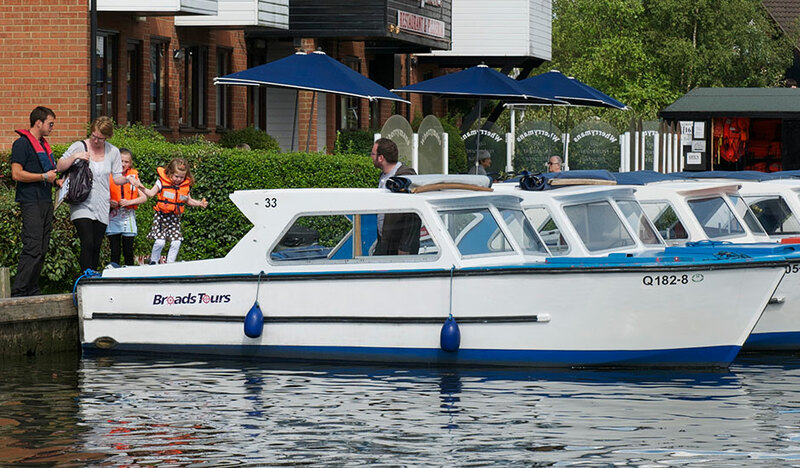 The Standard Day Boats operate on a first come first served constant turnaround basis. We are unable to take pre-bookings on these boats. 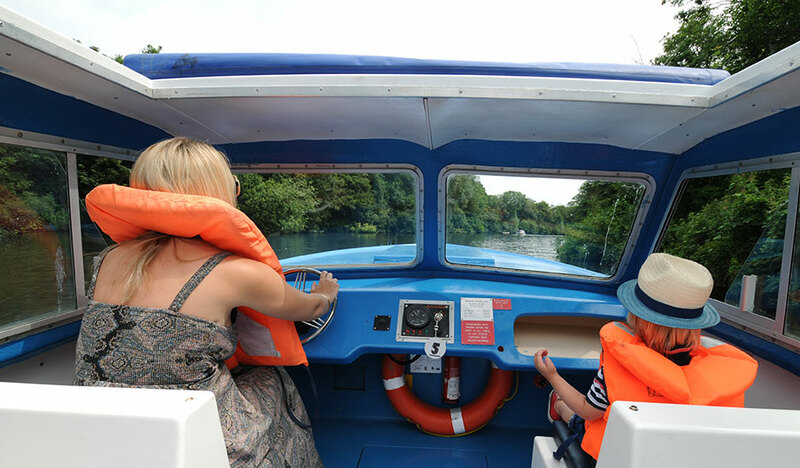 Hiring a day boat is one of the best ways to enjoy the Norfolk Broads – if you have limited time or if you live locally and fancy a couple of hours on the water, just pop down to our boat yard in Wroxham and enjoy the Broads at your own leisure. 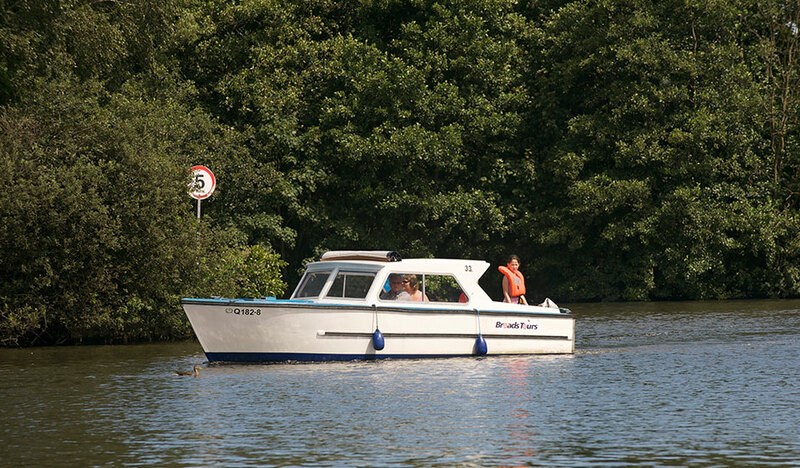 Our Wroxham day boat hire provides the perfect base from which to begin your Broads adventure and with plenty of shops in the village, you can stock up on supplies before you leave, or take out a boat for the whole day and visit one of the many pubs and restaurants along the way. Either way you’ll have plenty of time to relax amongst the wildlife and the beautiful landscape. They seat up to 8 people and have a canvas cabriolet style cover to protect you from the elements. 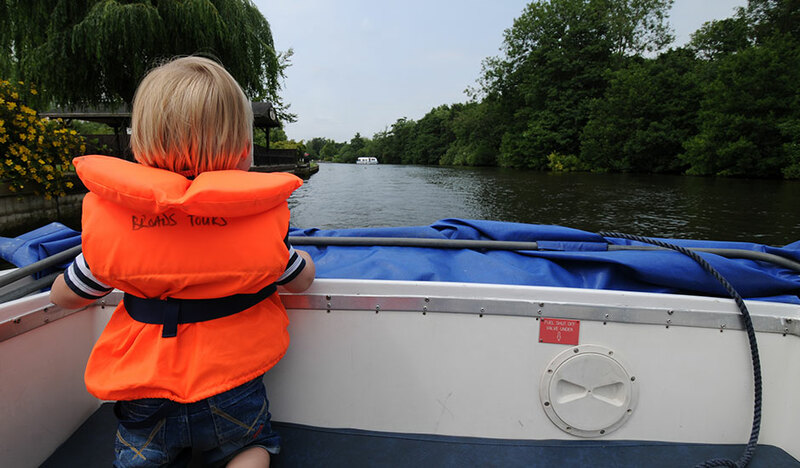 Broads Tours require at least two adults on our Standard Day Boats (at our discretion we may allow one adult with a child of 14 years or over). Please note, we reserve the right to request a security deposit from certain parties when you hire our day boats.